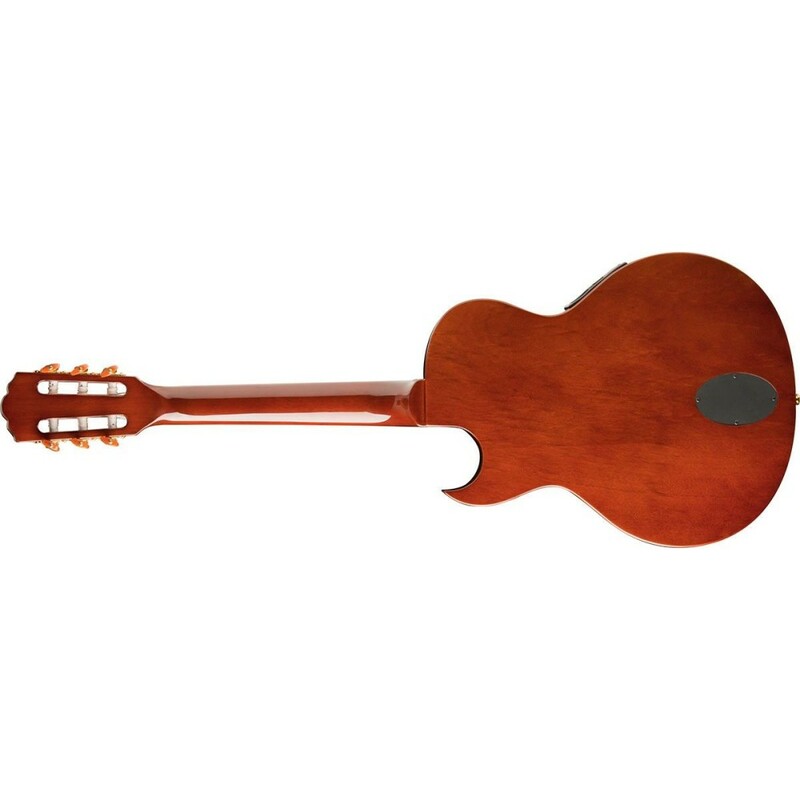 Nylon stringed classical guitars have an ageless appeal regardless of the genre of music you play. 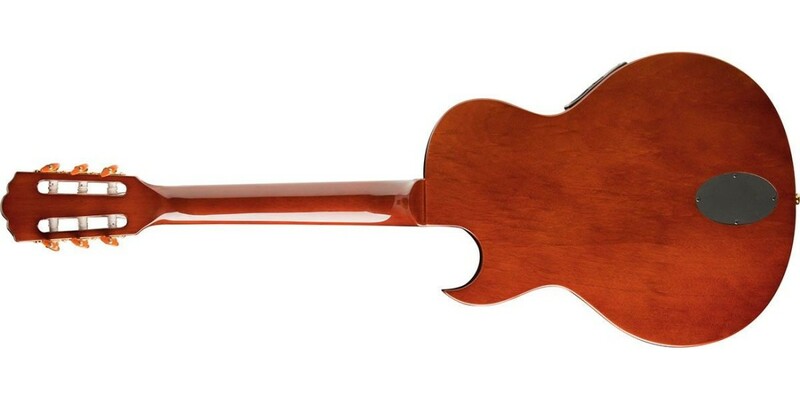 Classical players require a larger string spacing to accommodate their precise finger style playing. If you’re a steel string player though, you may not be accustomed to playing the wider width, so we’ve developed the EACT42S with narrower string spacing to accommodate you. 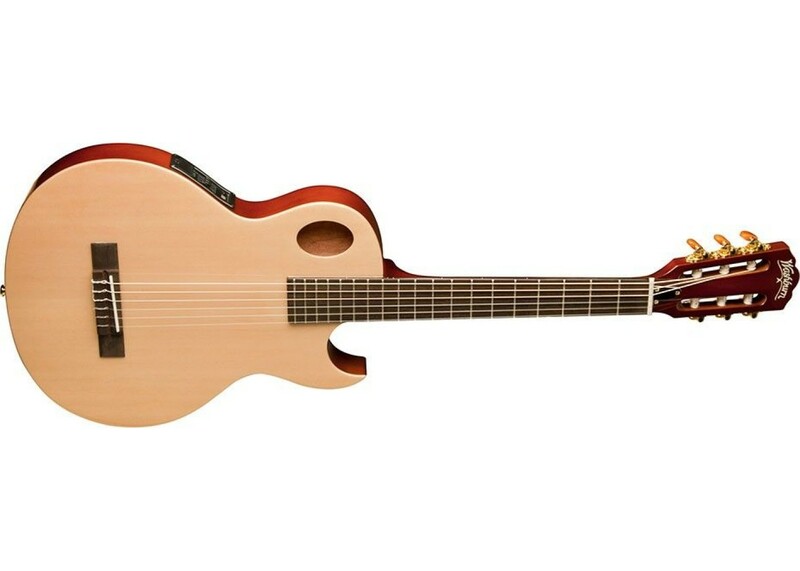 The EACT42S features a cutaway for upper fret access, a feedback reducing thinline body and premium electronics combined with the smooth, full tone of nylon strings to make it easier to get up to speed producing nylon stringed tones in any performance situation. Washburn designed the Festival series to address the needs of the performing musician and it has succeeded for over 25 years. 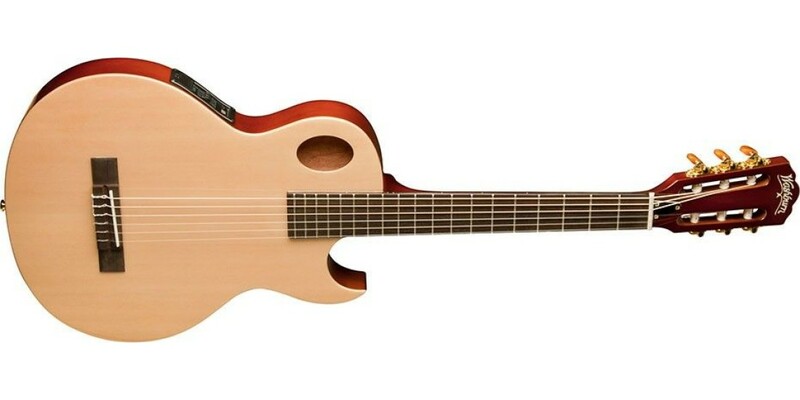 The Festival series was the standard acoustic/electric guitar seen on MTV’s “Unplugged” series and has since become one of the best selling and most copied guitars on the market. A large body teamed up with quality electronics, hardware, and fine woods allows the pristine, crystalline highs to blend perfectly with a full, well rounded low end.